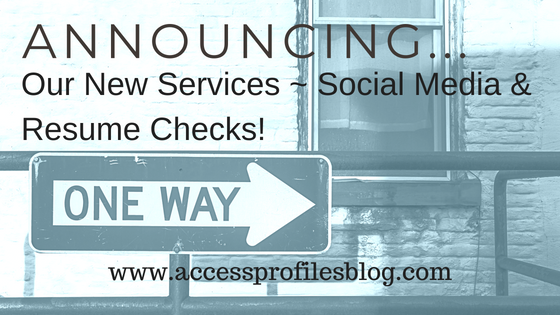 Access Profiles, Inc.: Now Added to Our Services ~ Social Media & Resume Checks! 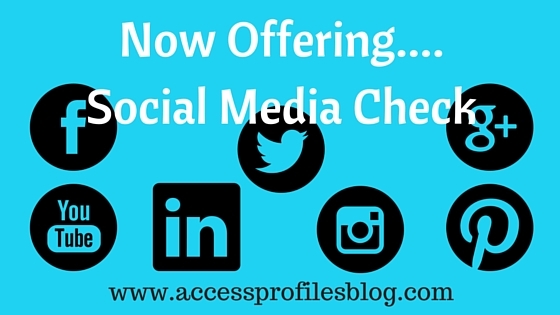 Now Added to Our Services ~ Social Media & Resume Checks! 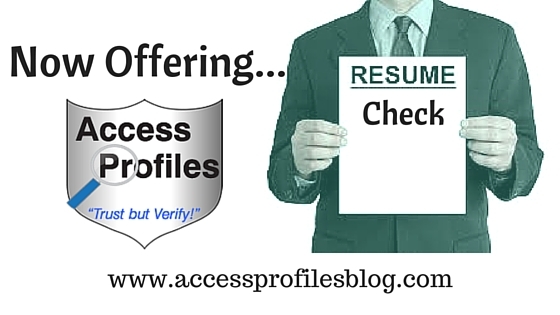 for Social Media and Resume verifications when applying for a job. This means knowing in advance what can be seen online about you and making sure your resume is completely accurate. In this tough job market, putting your best foot forward from the beginning is essential. Many times you only have that first look to make an impression and it is even more important that your application not get tossed. We also know many new graduates that are struggling to find their first “real” job and others who are looking to move forward in their careers. All are looking for anything that will give them even the slightest edge in getting their foot in the door. And if you are a hiring manager or Small Business, using the tools necessary to Hire Right makes Good Business Sense! This is where API can Help. Resume Checks to our list of hiring services. Discover what API can Do for You! When running a Social Media check, we will check online for you or your applicant's social media presence. This will include visiting the major social sites like Facebook, Twitter, LinkedIn, You Tube, etc. We will also be looking for any online mention of your name by running a “google” search. The goal will be to find any relevant posts about you or your applicant and to include any professional information that can be used as a cross-check against a resume. Doing this is often a first step in verifying resume accuracy. We will be looking for both positive and negative posts. Positive posts can include mentions of awards received or charity and volunteer work you or your applicant are involved in. What may be considered negative could be posts where my subject excessively complains about a current or past employer. There are also certain behaviors depicted online that might be undesirable to a potential employer ~ explicit photos, illegal activity, etc. What API will not do is request any passwords to access this information. This is already an illegal practice in many states, and more states are following suit. While it is possible for you to do a social media check on your own, by using our services you are assured of not uncovering any information that may be protected or sensitive (such as religious beliefs, sexual orientation, etc.). This can help protect you from charges of discrimination if your applicant is not hired. 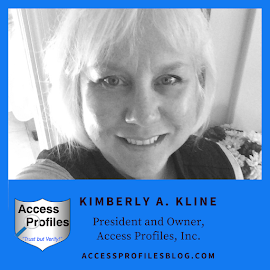 You can read more about Social Media background checks here. 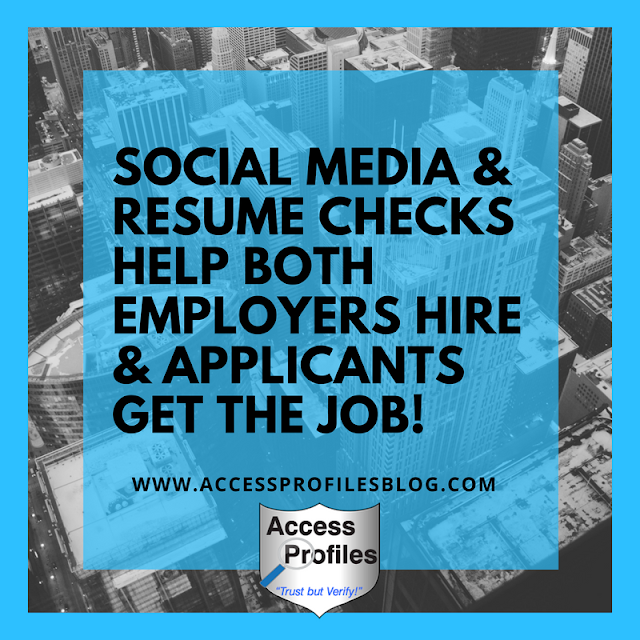 Resume and Social Media Checks can Help Employers and Applicants Get the Job Filled! "Tweet This"! They should Always Be Completely Accurate! You can find tips to help achieve this here. Resume Checks can be of great use to individuals applying for jobs and companies wanting to verify an applicant’s information. We also believe they can be especially helpful to recruiters and temp agencies looking to place their clients. For these agencies, knowing in advance that your client has no “red flags” can help you place them more quickly and enhance your own reputation. Companies that use you will know that the people you are recommending for placement are highly qualified and safe candidates. What API looks for in a Resume Check is that any degree or certification listed has actually been earned. We will also make sure employment dates and titles correspond to what is discovered during the verification process. Knowing that an applicant’s resume is completely factual can be a first step in determining their honesty. Employers will be suspect of resumes that have been embellished and especially those that have been downrightfabricated. Checking a resume beforehand, and making any necessary changes based on those findings, is the best course of action. These services can put You on the right path to finding the job You really want. And, if you are a Small Business, they can help you find the best candidate for the job. and Find Out How API can Help You! 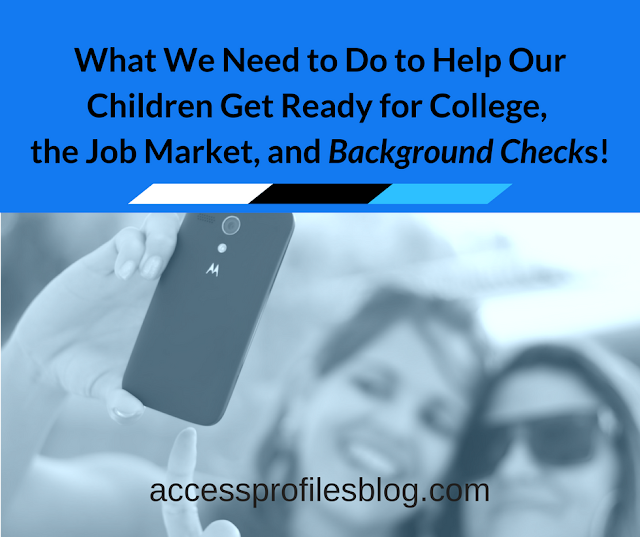 Resume Verifications, Social Media Checks, and other services can help you. Please visit our website or Contact Us.